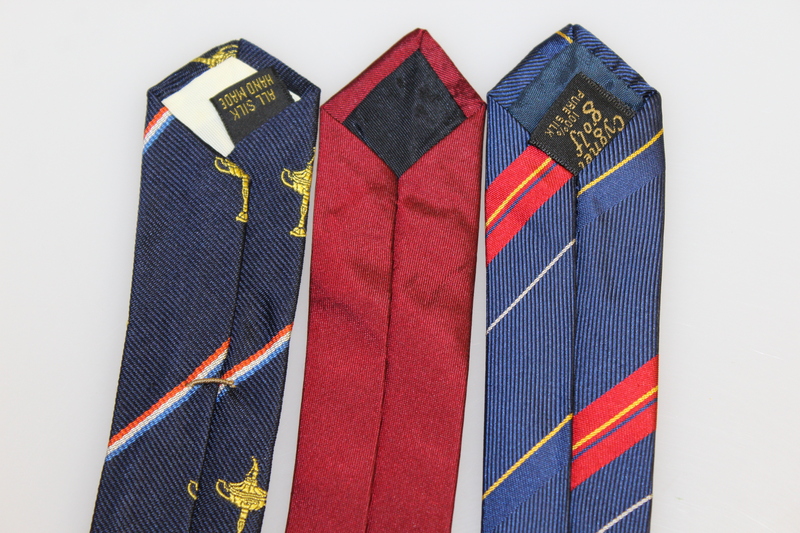 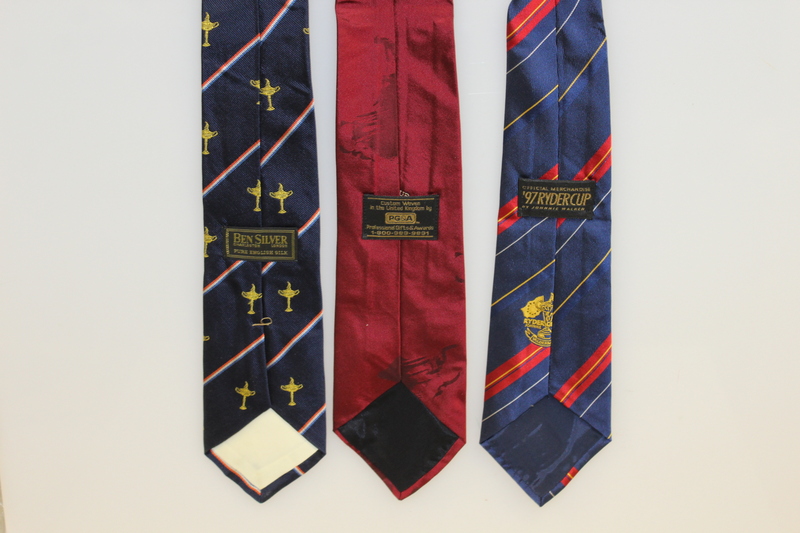 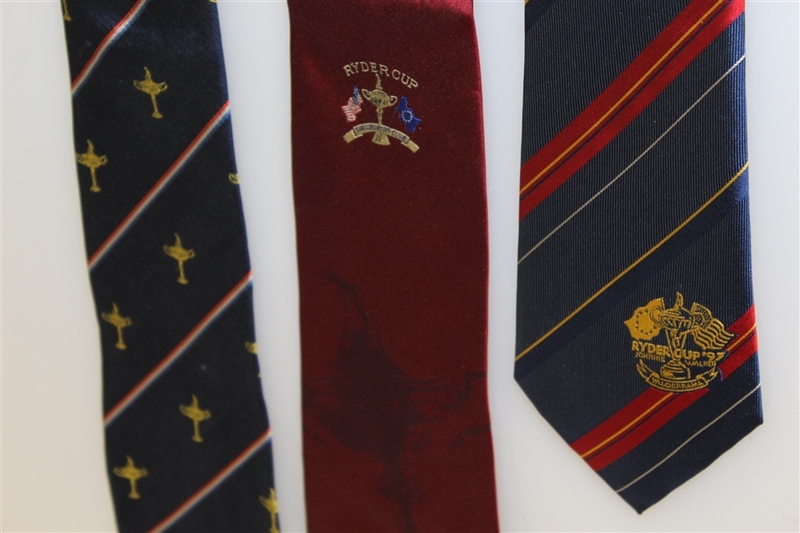 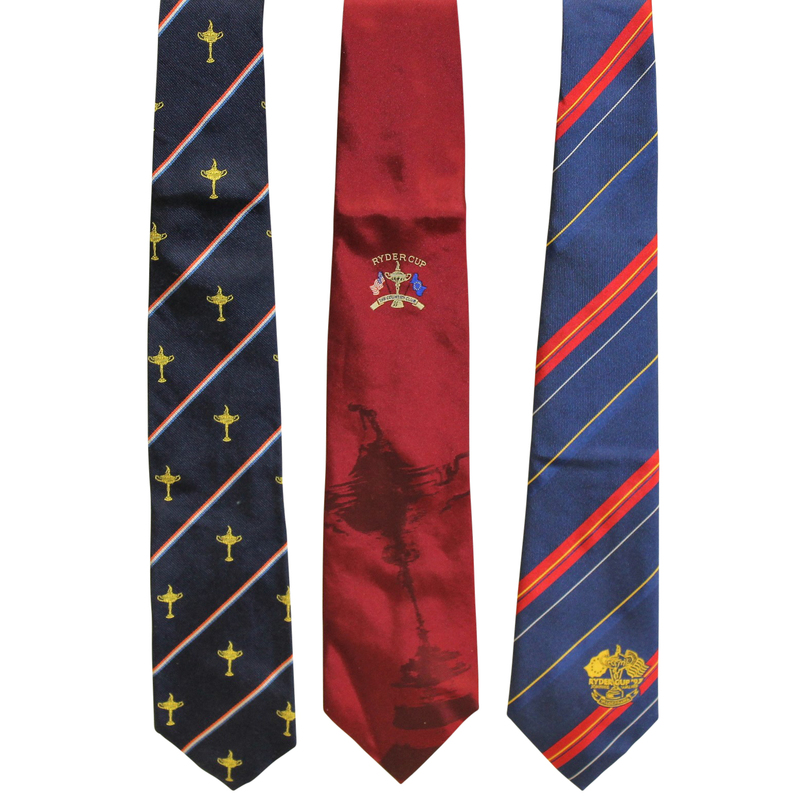 Offered here are three Ryder Cup neck ties. 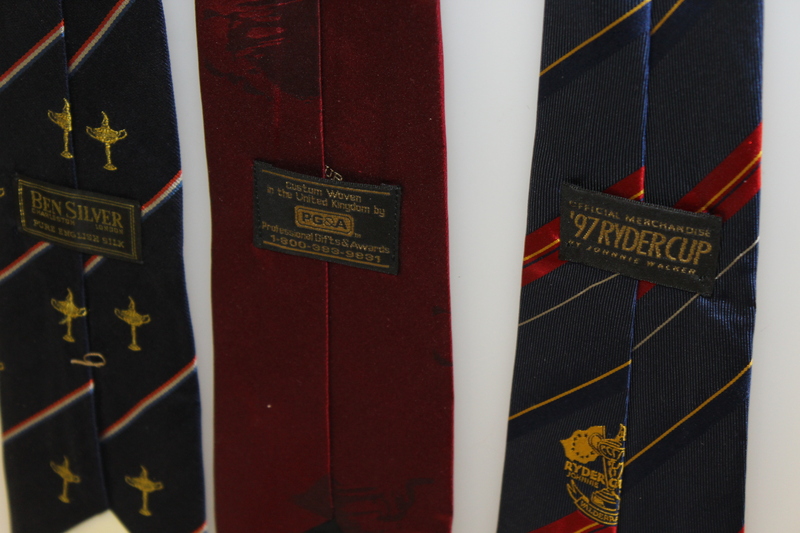 They come in good condition. A blue striped tie with Ryder Cup trophies on it, a red tie from the 1999 Ryder Cup at the Country Club, and a blue striped tie from the 1997 Ryder Cup are included.